Saitek's Pro Flight Rudder Pedals add another layer of realistic control to your flight simulation setup. Control the rudder and toe brakes of your aircraft with your feet—just like actual pilots. 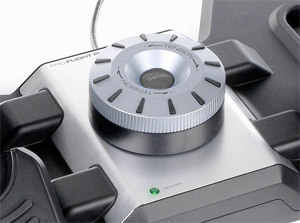 These self-centering pedals with adjustable damping are a perfect complement to the Saitek Pro Flight Yoke. 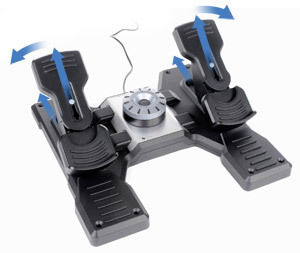 Elevate your level of in-sim airplane precision with the Saitek Pro Flight Rudder Pedals. Our cockpit shell is styled after GA trainers, and ready to accept your current and future flight sim hardware. 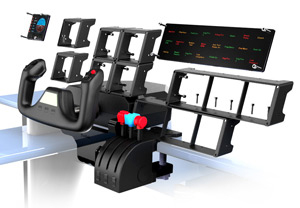 Begin with Saitek's Pro Flight Yoke, then easily add Rudder Pedals and a multitude of Switch, Navigation, and Instrument Panels to fully equip your flight simulator. Commercial or private, seasoned or novice, you have the ability to build your setup with all the essentials needed to vastly improve your skill set and muscle memory. Saitek now offers two solutions which effectively remove the guesswork from creating your own flight sim setup. The first solution is a solidly built, custom cockpit frame which securely houses all of your Pro Flight gear. The second solution is even more robust—a fully loaded, professional-grade cockpit which includes all controls and instruments to qualify as a complete procedure trainer.